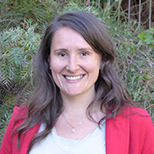 Manu Saunders is an early-career ecologist at Charles Sturt University’s Institute for Land Water and Society, where she researches ecosystem services and wild pollinator communities in agroecosystems. Prior to studying ecology and embarking on a research career, she completed a degree in English and worked in corporate communications. She is passionate about natural history and science communication.